In the present day, making your own brand product are handy, and even open to small business or startups. as all we know, the easiest way to promote your own brand is to print your company logo on the packaging, and China has an incredibly wide array of suppliers in packaging industry you can find them to work with, find the best solution for you product packaging design, sample and supply. Here we would like to let you know why China is the right place to source customized packaging manufacturers and the costs you need to be aware of. We also will take a brief for how to work with these suppliers to make own design packaging when you import products from China. Actually all of these are very simple process, and you will find that’s help you to promote your own brand a lot! 1. Why you need a Customized Packaging? Most small business buyers import no brands products from China, but seldom use own design packaging. However, customized packaging is extremely beneficial for startups and small businesses. They can create their own brands, without engaging in a complex, time consuming and expensive product development process. All you need to do is to choose a supplier ready to provide a good quality product to be sold to your target customers. You can then cover it with your own packaging; print your company logo on the packaging and sell these products in to the market. This will give your brand quick popularity and success in the local market. Many suppliers do not give much significance to the packaging of the products. They sell the products to the customers with the original factory’s design and packing. Sometimes these products are sold with some other company’s information on the box. This is because Chinese suppliers offer other customer’s packing design, and don’t understand the information printed on the box. Thus, you end up selling your product under some other brand name. At other instances the factory’s original packaging makes the product look dull and uninteresting. Here if you just incur a little extra cost in packaging the products again, it will make the product look more attractive. You can easily increase the price of newly packaged product by 5-10% or even more. This will also differentiate your product from your competitors’, even if both buy the product from the same Chinese suppliers. 2. Is Customized Packaging Expensive? Most sellers buy products and sell them to the customers without own packaging. There are two main reasons behind this approach. First they don’t know much about customized packaging and think it is an extremely expensive affair. Second they perceive that customized packaging is available only on very big orders. So never try it for small orders. However the fact is that customized packaging is cheap and available even on very small orders in China. In the following description we will analyze two common situations for this issue. Situation #1: Use factory’s original packing, with your design. Let’s take “LED Lights” as example, the factories provide ‘LED lights’ in normal design boxes. This box is used by most light factories for supplying their products to the customers. Using same packing box is a quite common act in China for small factories, because they never think about doing own design. You can find this black box on Alibaba, Ebay, Amazon, and everywhere. Our customer did his own design box, and only paid $200 fee for the printing model. And he ordered 1,000pcs this products, which means he only paid $0.2 extra fee per product. With his own design and brand on box, he can easily sell this product $1 higher price than competitors, who are using factory’s black box. For box packing, product factory usually will help make your own design packing, and usually will charge $80-$100 printing model fee at the first time, and there’s no more fee for future orders. But sometimes there will be around $40 for each order, for assembling model on the printing machine. Please keep this in mind, because some suppliers will offer you low product price, but high fee for customized packing. However, the fee still depends on different packing types. 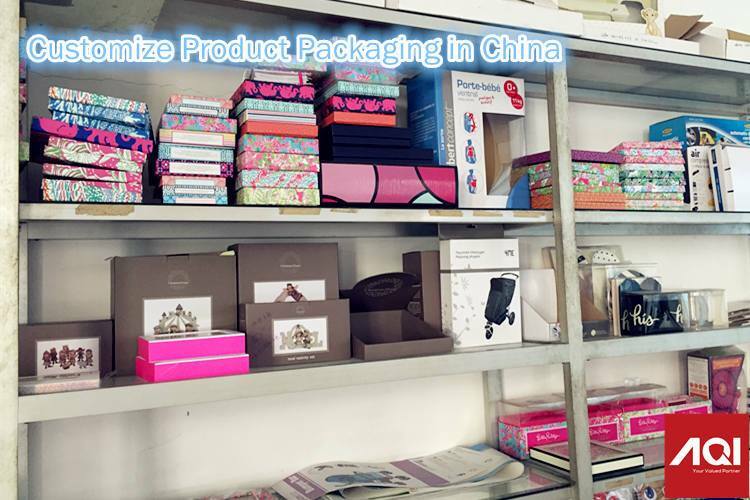 Situation #2: Customized packing in other printing companies in China. Sometimes for certain products, it might so happen that suppliers don’t offer any packaging for the products; or you don’t like the product packaging. In both these cases you need to find printing companies or factories for produce your packing, and deliver to the product factory. OPP bag with own Logo at the rate of $0.03 each for MOQ 3,000 pcs. Paper card with own design at the rate of $0.065 each for MOQ 2,000 pcs. Colorful box with own design at the rate of $0.19 each for 2,000pcs. The customer finally chose box packing with own design for packaging the toys. Because he can sell $1 higher price than Teddy Bear without any packing.